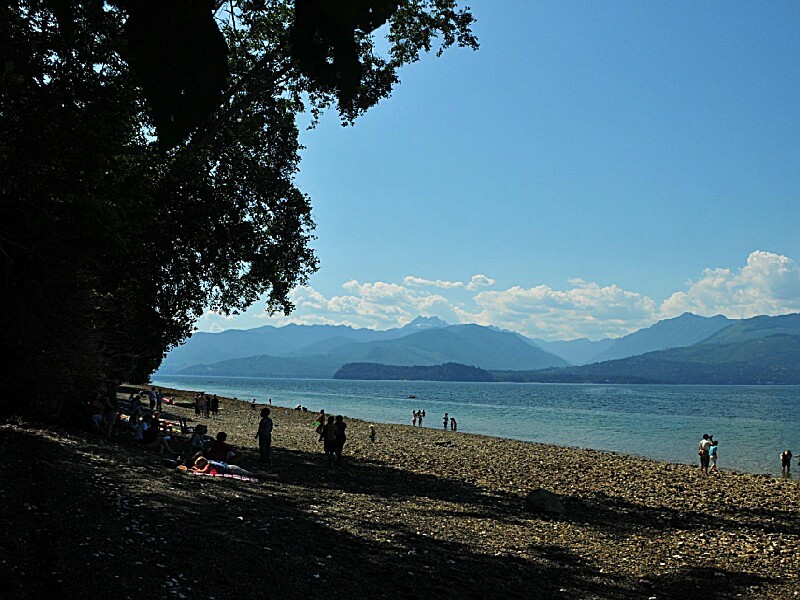 Scenic Beach State Park is a 88-acre camping park with 1,500 feet of saltwater beachfront on Hood Canal. 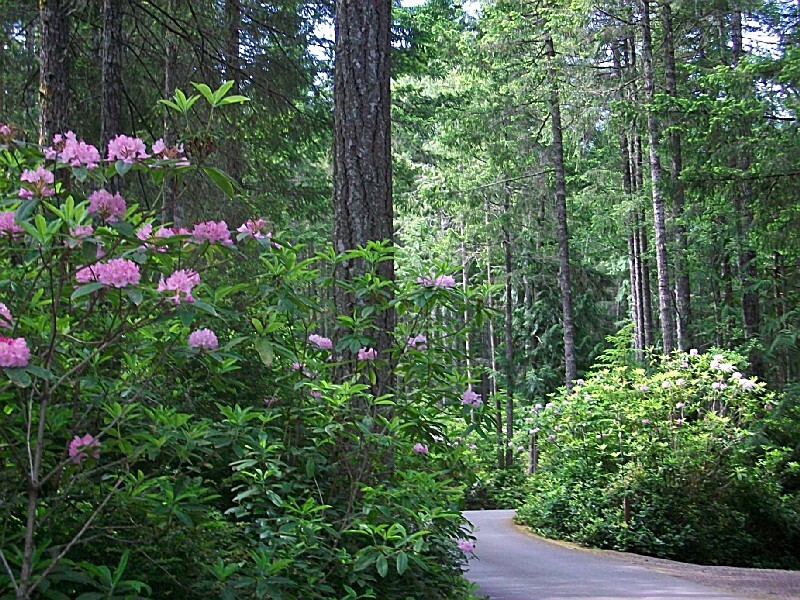 The park is known for its wild, native rhododendrons and stunning, clear-day views of Hood Canal and the Olympic Mountains. 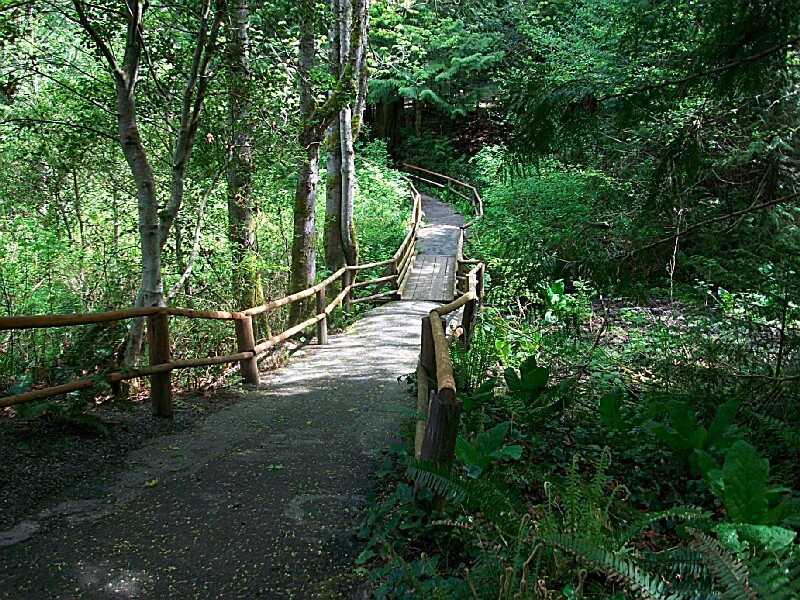 ADA-compliant paths lead visitors to a country garden, gazebo, rustic bridge and huge trees. A wide variety of birds and wildlife call the area home. The park is ideal for those who appreciate outstanding natural venues for outdoor activities. 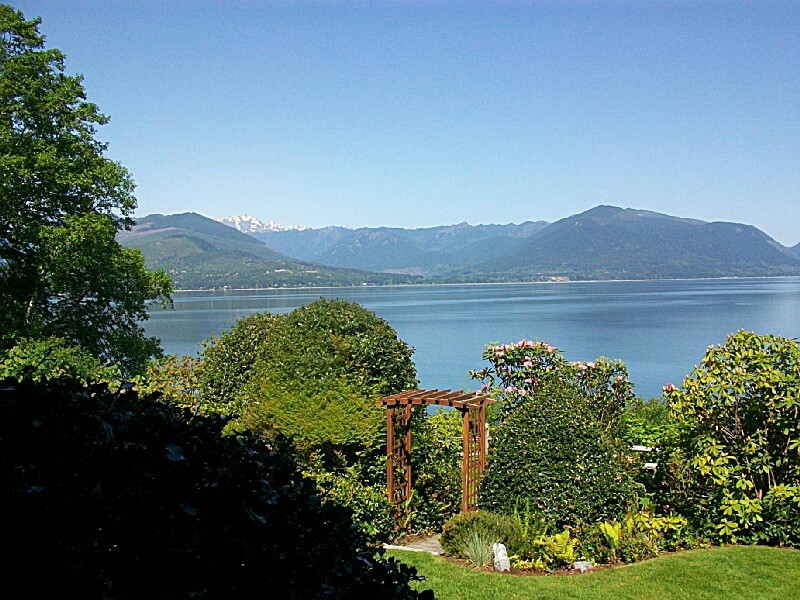 The park features beautiful views of Hood Canal and the Olympic Mountains, flowers of wild rhododendrons in spring, and a rocky beach where oysters may be harvested in season. Summer: 8 a.m. to 9 p.m.Winter: 8 a.m. to 5 p.m. Camping:Check-in time, 2:30 p.m.Check-out time, 1 p.m.Quiet hours: 10 p.m. to 6:30 a.m. The park was originally developed as a homesite, then as a scenic resort owned by Joe Emel, Sr. The park was purchased by the state in three parcels over a 17-year period. Emel House was built in 1911. The park has 52 tent spaces, one dump station, two restrooms (both ADA) and four showers. Eighteen pull-through sites accommodate 60-foot camping units. Bicycles may be ridden only on pavement, and riders must use caution in this hilly campground with blind curves. To reserve a campsite, call (888) CAMPOUT or (888) 226-7688. The park provides a group camp that accommodates 20 to 50 people. It is situated above Hood Canal, in a wooded, primitive setting. Facilities include a vault toilet and fire pit. Fees vary with size of the group. To reserve, call (888) CAMPOUT or (888) 226-7688. Check-in time is 2:30 p.m., and check-out time is 1 p.m.Quiet hours are from 10 p.m. to 6:30 a.m.Engine-driven electric generators may be operated only between the hours of 8 a.m. and 9 p.m.Length of stay: You may stay up to ten consecutive days in any one park during the summer; the stay limit is extended to 20 days between Oct. 1 and March 31. A general store is in Seabeck. All other services are available within a 15-mile radius. A boat ramp is half a mile east of the park and is administered by the Department of Fish and Game. A sticker is required for launching. 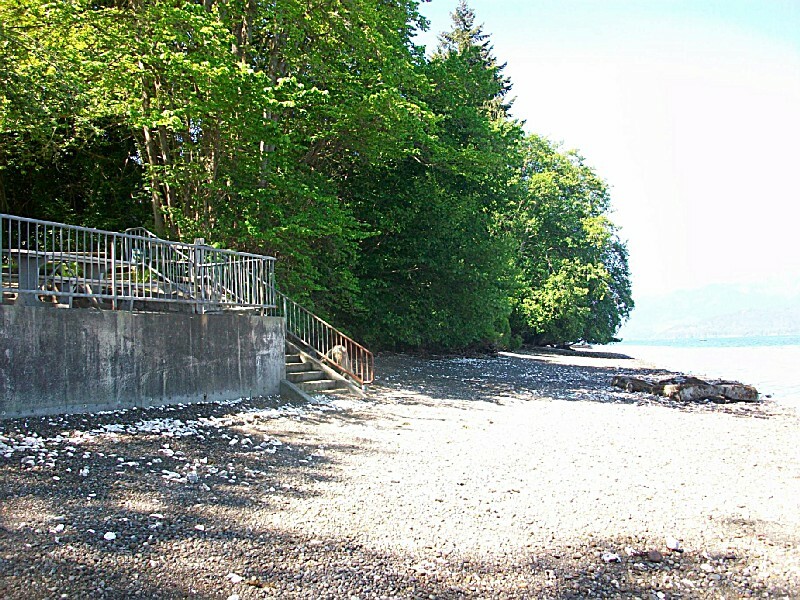 Dock and moorage are available at Seabeck, one mile east of the park. Volleyball nets are up from May until September. Balls and horseshoes can be checked out through park staff. WE LOVE HEADING OUT FOR A QUICK WEEKEND CAMPING TRIP- WE HAVE BEEN CAMPING HERE YEAR AFTER YEAR - NOW OUR EVEN OUR GRAND KIDS ARE ENJOYING THE WELL MAINTAINED PARK- IT IS ALWAYS A RELAXING PEACEFUL WEEKEND WITH BEAUTIFUL ATMOSPHERE!!! Very quiet, wooded, with access to great beach. Returning for our second time this summer. Large sites. Nice, clean showers, too. Located on the west side of the Kitsap Peninsula, nine miles southwest of Silverdale, Wash., on Hood Canal. From Hwy. 3 in Silverdale : Drive to Newberry Hill Rd. Turn right on Seabeck Hwy. Drive six miles, and turn right on Scenic Beach Rd. Drive one mile to park.